Re: Store fixes and store content installation. We don't have any official video walkthroughs about that topic, or at least not as far as I know. So I guess you are talking about videos from another source, the usefulness of which we cannot verify (we specialize on our own stuff/releases, on G4TW). Also, which links are messed up? On the Forum here? I think you mean the adverts, which we use on most links here. You need to click on "Discover interesting articles", which will bring up another intermediary window. You click on the "x" in the top right corner, then. I don't know if you have to de-activate your adblocker for that to work, feel free to try yourself. After doing so, click on "Continue" (sometimes displayed as "Weiter"), wait the 15 seconds or so, then click "Continue to Website" ("Weiter zur Website"). I've noticed that lately the advertising agency are making it more cumbersome to progress through this. I could now pretend to "apologize", but I don't think I will. The revenue that we generate from these ads is necessary for maintaining the Forum and related websites. In the event you are talking about different store items, please clarify. 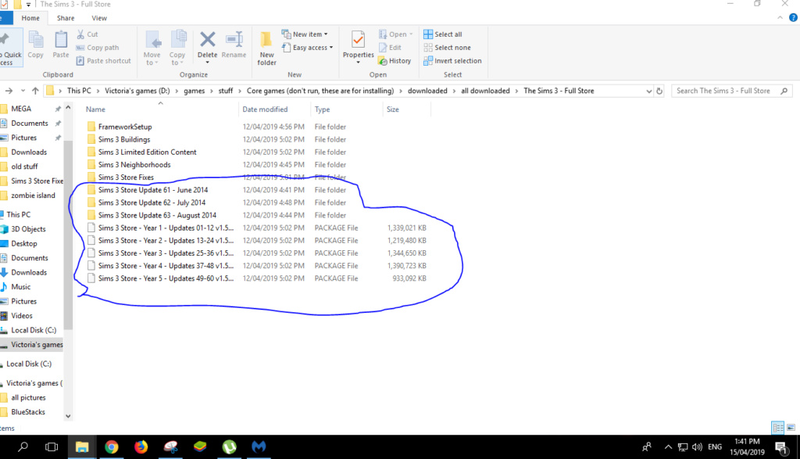 Most store items are .sims3pack files, which you put under Documents\Electronic Arts\The Sims 3\Downloads. 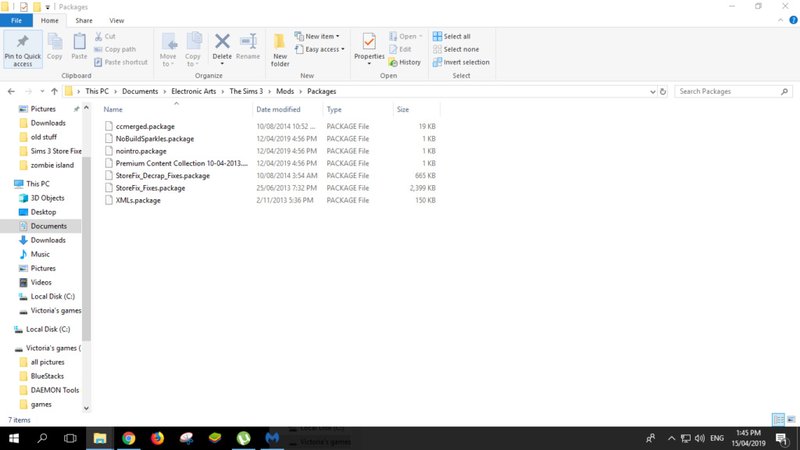 Then you open up your Sims 3 launcher, navigate under the tab "Downloads", tick the boxes next to the items that show up there, and finally click the "install"-button. 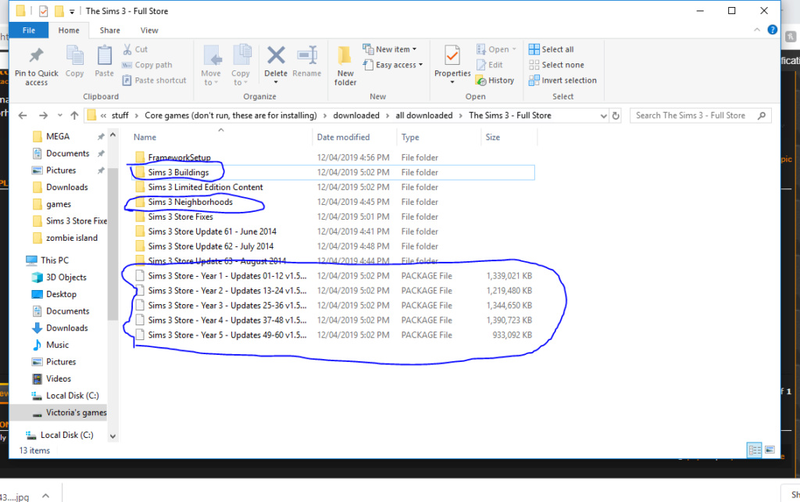 Note that you should only install .sims3pack files in smaller batches, using that method (about 200-300 Megabytes worth of store items, in one go). If you wish to speed up the process, use a third-party tool like CC Magic. As for the store fixes, the ones available from G4TW here actually have detailed instructions included. But again, if you have a more specific issue, then feel free to clarify again. Good luck for now! Is this the store compilation from Sim Architect, and if so, do you know if there is any information on the release date of this thing? Because I remember an earlier version had an error with the worlds, but everything else was fine. 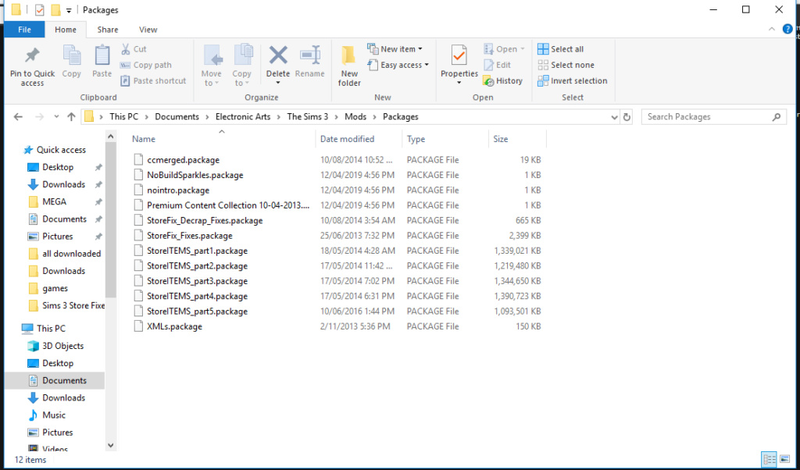 The big .package files, you have to treat them as "mods" basically. Google for "Sims 3 mod framework" or alternatively download the G4TW guide here, in .pdf file format. 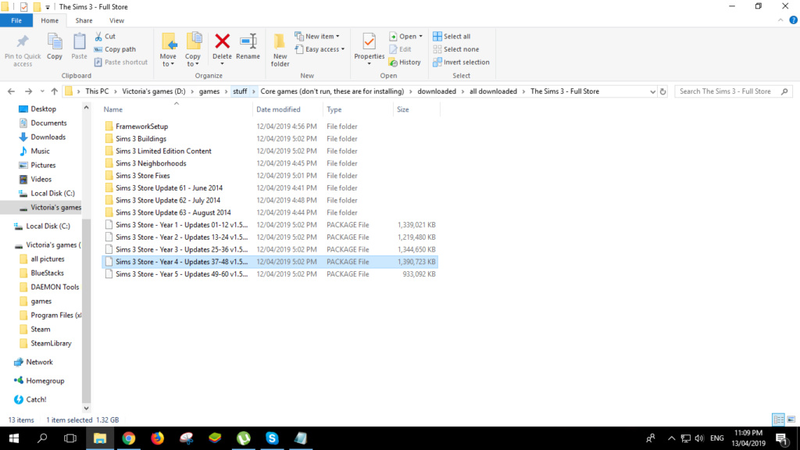 You have to setup the mod framework according to these instructions, and then insert these big .package files, under Documents\Electronic Arts\The Sims 3\Mods\Packages. Note that Sim Architect maintains a few of his own Sims-related torrents, so they may differ from G4TW's stuff. 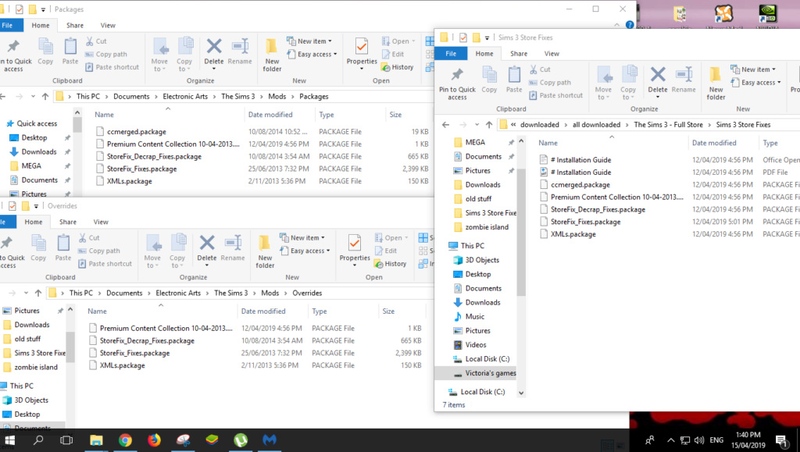 However, the items that you marked in that screenshot I quoted, also go under Documents\Electronic Arts\The Sims 3\Mods\Packages. As for the "Premium Content Stuff", I don't know what it looks like with Sim Architect's torrent, so you'll have to show us another screenshot or describe in words what that stuff looks like. What does not work? 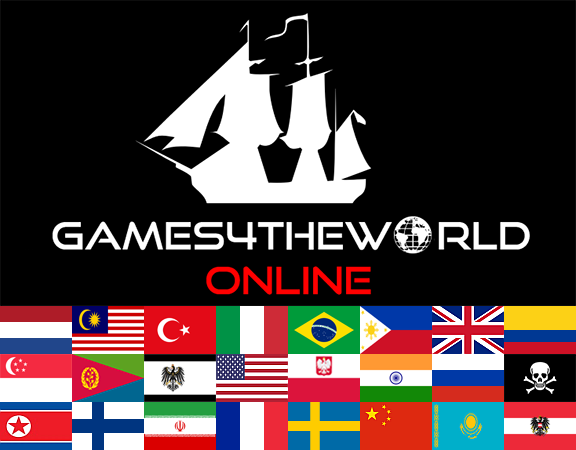 Are you still talking about the torrent from Sim Architect, or about the Games4theworld torrent? Note that just because you don't get the names of these .package files in the popup when the game starts ("mod packages found": insert list here), it doesn't mean they are not present. Please check your actual build-/buymode catalog, if you haven't done so already. If you did everything correctly, you should find a lot of new items in your catalog.